It is very hard to do SEO these days without utilising a few tools. Fortunately, there are many tools to choose from, and many offer a free service as well as more powerful premium service. But, which tools are best and how do you decide which ones to invest in? SEO is a highly competitive industry that relies heavily on complex data from a wide range of sources. While many SEO tasks can be carried out manually – in fact, some of the most important ranking factors require a holistic approach and are outside the realm of tools – many can be streamlined with the help of some cloud based software. Why Do We Need Tools? SEO tools fall broadly into two categories: there are tools that analyse your website and highlight technical and content issues, and there are tools which analyse off-site factors, such as your backlinks and how your competitors are performing in search. Tools must play a part in every SEO strategy and any SEO consultant who tells you that they will improve your site’s rankings without using any tool is either being dishonest or providing a substandard service. An SEO without a well-equipped toolbox is about as much use as a carpenter without a saw. There are of course many tools on the market today. Some are designed to analyse specific Google ranking factors (the Penguin gave rise to a series of tools that report “bad links” – these tools are now mostly defunct now that Penguin 4 has been released), and others provide an overview of your SEO health. Here are our favourite tools. Search Console, formally Webmaster Tools, is possibly both the most important and most underutilised SEO tool. Search Console provides details of all the key areas: onsite ranking factors such as page titles, duplicate content, page errors and structure data; search traffic, including links to your site, internal links, mobile usability and search analytics; Google Index, including content keywords and blocked resources; and finally, crawl and security issues. No other SEO tool comes close to the depth of information that Search Console provides, and it is totally free. However, you are only able to analyse your own website. Google Analytics is another free tool from Google. It provides the best data on how your site is used, and when integrated with your AdWords campaigns, it provides detailed information on how well your paid search strategy is performing. Goal tracking also allows you to better understand customer journeys, which then allows you to optimise your landing pages to increase sales. SEMRush is one of the most useful tools for quickly determining the overall SEO health of a website. It tracks keyword positions for the most popular searches for each website, and based on known search volume data, it estimates how much traffic a site receives. But the most useful data is its keyword data. With SEMRush you can easily see what keywords your competitors are ranking well for, and also who the main competitors are. This information is available for both organic searches in Google and PPC (AdWords) searches, which means you can compete directly with your competitors by bidding on their keywords. SEMRush also provides some backlink data, although it is not as good as that provided by Majestic. Majestic (formally Majestic SEO) provides the best backlink data available. It is free to use on your own site, but if you wish to spy on competitor backlinks you need to pay. Why use it? To win better links! Although copying your competitor’s SEO strategy is not a guaranteed way to improve your search positions (they might not be very good at SEO!) there is a good argument for it nonetheless. By looking at where your competitors’ links are coming from you can identify websites where you too can gain a link. It might be that they have good links within a forum, or on an industry blog, or in some business directories, or somewhere else altogether. All you have to do is contact the websites where they have links and see if you can get one too. If you see a link from a guest post, you can almost always get a link on the same site if you send an informative and engaging blog. Link research is a key part of any SEO strategy. These are just three of the tools that we use to help our clients rank higher in Google. We also use tools that monitor SEO health, report broken links, monitor website speed and mobile friendliness, and manage the entire marketing strategy. 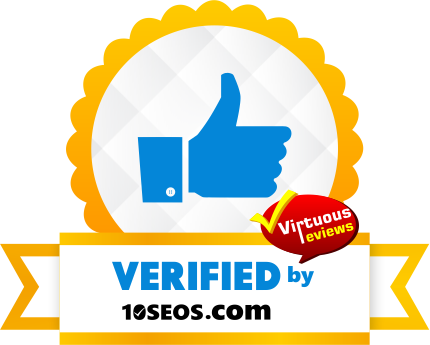 You could say that the best SEO consultants are only as good as the tools in their toolbox!